She had paid Rs 4,865 bill herself; officials say Delhi Police owns the vehicle. 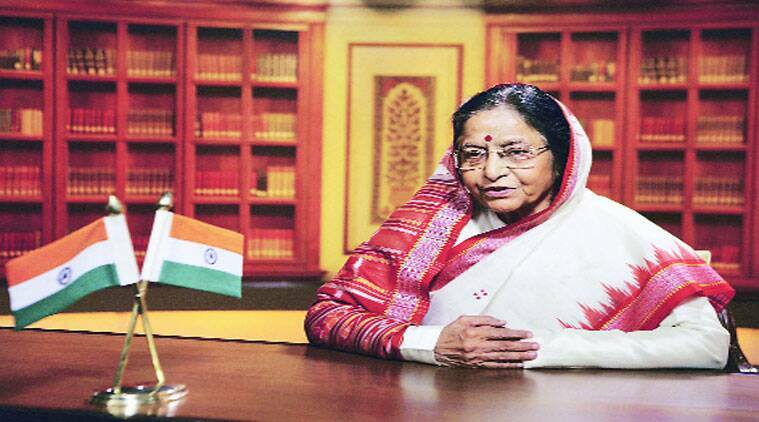 It has been a little over two years since she retired from the highest office in the country and former president Pratibha Patil is getting a taste of the problems faced by a common citizen. Nine months after she submitted a Rs -4,865 bill — which she had paid from her own pocket for repair of her official vehicle last year — to the Union Ministry of Home Affairs for reimbursement, she is yet to receive the amount. While one office refused to entertain her reimbursement application, others are tossing it from one office to another. The facts of the case are: In May 2013, Patil moved to her post retirement residence in Pune from New Delhi where she was staying on temporary basis since her retirement at a bungalow provided in Lutyen’s Delhi using a vehicle provided by the Delhi Police. After moving to Pune, she continued to use this official bulletproof ambassador car as her official vehicle. The car is old and only a few months later it needed repair. The vehicle was sent to the Motor and Transport department of Pune Police. It also required replacement of some spare parts. While the MT department did some minor repair, it refused to replace the parts as the vehicle belongs to the Delhi Police and, they said, they couldn’t spend money from their budget on a vehicle which is not theirs. Thus, “as courtesy towards a former President” they did some minor repair but also informed her private secretary that they couldn’t do anything more, sources in the Pune Police told The Indian Express. The vehicle was then taken to a a private firm by Patil’s aides and a bill of Rs 4,865 was taken by them in the name of Pune Police Commissioner. The commissioner’s office, however, refused to pay the bill citing the same reason. On December 13, 2013, Patil’s private secretary G K Das sent the bill to the union home ministry along with a covering letter asking it to reimburse the amount to her. “As the MT section of the Pune Police Commissioner’s office refused to foot the bill as they do not have specific orders, the amount was paid by the former president. It is requested that the amount be kindly reimbursed to her,” wrote Das. Four days later, the MoHA forwarded the letter to the Delhi Police requesting it to take the necessary action as the car belonged to them. The Delhi Police are yet to do the needful. Replying to an Right to Information (RTI) query by Express, Parwaiz Ahmed, Deputy Commissioner of Police (Security), Delhi Police said that the reimbursement procedure got ‘delayed’ due to technical issues. “The former president’s office had provided a photocopy of the bill. On request, the office later provided the original bill (as required by rules). It was also discovered that the company which issued the bill had done wrong calculations in the total amount. Last week, the company submitted a fresh bill amounting to Rs 3,757 and the payment to the former president will be made shortly,” replied Ahmed.